JAXA | Hironobu Yokota, Japan Meteorological Agency "A New Era of Meteorological Observation"
Geostationary meteorological satellite Himawari-8 was launched on the H-IIA Launch Vehicle No. 25 on October 7, 2014. It’s attracted global attention as a next-generation satellite equipped with state-of-the-art observation equipment. Himawari-8 is expected to have markedly improved performance over its predecessor, Himawari-7 (also known as MTSAT-2). In this interview, we asked just how good its observational capabilities will be. — Please give us an overview of Himawari-8. Himawari-8 is a geostationary meteorological satellite approximately 8 meters long, with a main structure weighing 1.3 tons unfueled. It will carry a payload of antennae, solar battery panels and other equipment. It was launched on an H-IIA Launch Vehicle from the Tanegashima Space Center on October 7, and about 10 days later settled into geostationary orbit around 36,000 km over the equator at 140ºE longitude, south of Japan. We will be running performance verification tests, and then start full-scale observations around July, 2015. — How much more precise will its observations be compared to Himawari-7, which is now in operation? Himawari-8 will have dramatically improved performance over conventional meteorological satellites, and 50 times the data capacity. There are three main differences from Himawari-7. First of all, it will have double the resolution. The Himawari satellites carry observational sensors for visible and infrared light. The horizontal resolution for the visible light sensor will go from 1 km to 0.5 km, and for the infrared sensor it will improve from 4 km to 2 km. The higher the resolution, the more detail we can see, so we will have a clearer view of areas that until now we haven&apos;t been able to see very well. The second difference is that the time required for an observation will shrink from 30 minutes to 10 minutes. The Himawari satellites observe East Asia and the western Pacific Ocean from geostationary orbit over the equator. Rather than snapping a quick photo like you do with a regular camera, the satellites scan an area equivalent to roughly a quarter of the Earth&apos;s surface a little at a time, in east-west bands from the Arctic to the Antarctic. Until now, scans have taken 30 minutes to complete, but now we will be able to do them in 10 minutes. Furthermore, we&apos;ll be able to observe Japan and its surrounding area in about 2.5 minutes. The satellite can scan any specified area every 2.5 minutes, while making observations across its entire field of vision at 10-minute intervals. As a result, we expect that we&apos;ll be able to very quickly spot the rapid development of cumulonimbus clouds, which produce torrential rain and tornadoes. Thirdly, Himawari-8 will make 16 different kinds of observations, about three times more than its predecessor. The observational sensors on Himawari-7 have five wavebands, one for visual light and four for infrared, while Himawari-8&apos;s sixteen bands will include three visible, three near-infrared and ten infrared. That will give us the ability to view clouds in unprecedented detail. In addition, the three-band configuration for visible light will enable us to make red, green and blue color composites, so our black-and-white images will now be in color. In early spring, the winds carry yellow sand from the Asian continent to Japan, but with black-and-white imagery we have a hard time differentiating the sand from clouds. The color images will show the sand as yellow, so we&apos;ll be able to identify it at a glance. — Can you give us a little more detail about viewing clouds? First, we will investigate cloud altitude. The atmosphere is warmer the closer you are to the Earth&apos;s surface, and cooler the higher you go in the sky, so if we can measure the temperature of cloud tops, then we can find out approximately how high the clouds are. Having more infrared bands for measuring temperature will give us a detailed understanding of the height of clouds. Clouds ride the winds and move over time, so if we can track them as they move, we can accurately estimate wind direction and speed. The infrared sensors will also tell us whether the clouds are composed of ice or water droplets. Lower clouds are made up of water droplets, while those in the cooler upper atmosphere contain ice particles. Himawari-8 will make it easier to understand these cloud characteristics. — Cumulonimbus clouds are short-lived, so it seems like the quicker observations could have a big impact. 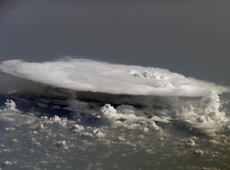 A cumulonimbus cloud takes about an hour to form, grow and then peter out. In that brief time, they can cause localized rainstorms, gale-force winds and tornadoes, but if you don&apos;t observe them continuously, you cannot follow their development. Himawari-8 will image the skies over Japan every 2.5 minutes, so we will get a very clear look at the rapid development of cumulonimbus clouds. Additionally, in the future we are thinking about taking cloud observations every 30 seconds, possibly allowing us to discover more things that no one has seen before. — Can you elaborate on the future possibilities? 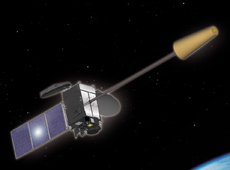 Any satellite takes time to establish a stable data processing procedure after launch. We expect Himawari-8, too, to need some time after launch to begin processing observational data and to compensate for vibrations in orbit. The Himawari satellites scan bands of area and combine them into single images. In order to match each scanned image with the corresponding location on the Earth&apos;s surface, Himawari-8 will take coastline images every 30 seconds. Coastlines are boundaries between land and ocean that draw very precise lines, so if we can accurately match them up during alignment, then we should have images that are perfectly arranged. Himawari-8 will be ready after the program that processes imaging data makes the appropriate adjustments and the satellite compensates a little for alignment. Once that happens, we plan to take images of cloud movements at 30-second intervals. — Do you think Himawari-8&apos;s observations will make forecasting the path of typhoons more accurate? Having more infrared bands will greatly improve the accuracy of our observations of cloud movement and upper atmosphere wind. So we will have higher-quality data for numerical weather prediction, and I think that will also allow us to forecast the path of typhoons more accurately. Predicting dangerous weather phenomena such as typhoons is one important mission of the Japan Meteorological Agency (JMA), and I very much expect that we will achieve higher accuracy. — What is a numerical weather prediction? A numerical weather prediction (NWP) is a method of predicting the future state of the atmosphere by using a supercomputer to calculate time variation of winds, air temperature, and other physical quantities according to the laws of physics and chemistry. The initial measurements – the state of the atmosphere at the start of your calculations – are vital for NWP. We use meteorological observation data from around the world to make these predictions with greater accuracy. At the JMA we collect meteorological data observed worldwide, in addition to Himawari observations, then enter that data into a supercomputer and make our calculations. The JMA has been making NWP since 1959. They are used not just in regular weather forecasting, but for many other purposes, such as air and maritime navigation. I think Himawari-8 will further enhance the accuracy of our NWP. — Will Himawari-8 make weather forecasts more accurate? Observational functions will dramatically improve, so forecast accuracy will surely get better. However, at best the Himawari satellites can only observe the very tops of clouds, and cannot see what&apos;s happening underneath. Weather radar and the Automated Meteorological Data Acquisition System (AMeDAS), which observe from the ground, are what allows us to see how much rain is falling and whether there are tornadoes under the clouds. Weather radar stations in 20 locations across Japan observe the intensity and movement of rain and snow. Meanwhile, AMeDAS, with equipment at around 1,300 sites nationwide, observes ground temperature, amount of rainfall, wind direction, wind speed, etc. Weather forecasts are made by combining this information from the ground with information from space. — In addition to mitigating natural disasters, will the satellite also help monitor the Earth&apos;s environment? Along with preventing disasters, I think it will also help monitor the global environment. Sea surface temperatures are rising as the Earth warms, and the infrared sensors on the Himawari satellites can measure these temperatures. 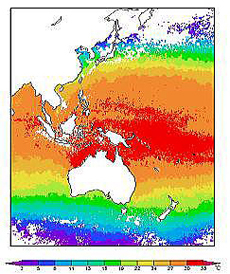 Furthermore, some people say we may be seeing larger and more frequent typhoons because of global warming. Himawari satellites observe things such as typhoon strength and areas of origin, so if we can look at the statistical data, we&apos;ll be able to see how tropical cyclones on Earth have changed. — Is Himawari data available to the public? All JMA data, not just from the Himawari satellites, is available free of charge and without restrictions. Plus, since there is strong demand for instant access to meteorological information such as weather forecasts and warnings, we release this information in real time. For example, in addition to making current satellite imagery available for viewing on the JMA website, we provide it to private weather companies and media organizations via the Japan Meteorological Business Support Center. — Himawari-8 will have 50 times the data capacity of its predecessor. You&apos;ll need considerable information processing capabilities to provide the data in real time. Computer processing won&apos;t keep up if the data piles up, so we will have to finish processing one set of observational data before we begin the next observation. Since Himawari-8 will scan every 10 minutes, we will have to process the data within 10 minutes. In fact, the process of data processing will also be different from before. For Himawari-7 we used foreign-made data processing software, but for Himawari-8 we will use software we developed at the JMA. Now we&apos;ll be able to tweak and upgrade the software ourselves, so I think that will help further improve data quality. 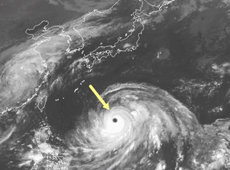 — How much has observational accuracy improved since the launch of the first Himawari in 1977? The first satellite had a resolution of 1.25 km for its visible light sensor and 5 km for the infrared. Himawari-6/7, which are in service now, have a visible light resolution of 1 km and an infrared resolution of 4 km. So there has been very little improvement over the past 35 years. The next satellites, Himawari-8/9, will have visible light and infrared resolution of 0.5 km and 2 km respectively. That will be a huge technological leap forward, unlike anything we&apos;ve had in the past 35 years. — Has the planned launch of Himawari-9 already been finalized? Himawari-9, which has the same performance capabilities as Himawari-8, is slated for launch in the fiscal year beginning April 1, 2016. Himawari-8/9 will each make observations for seven years, but they will be active in orbit for more than 14 years. Until 2022, Himawari-9 will serve as the backup for Himawari-8; then they&apos;ll switch, and Himawari-8 will be the back-up. Since meteorological observations are essential to our lives, we&apos;re putting a backup satellite in orbit just in case, so that observations can continue uninterrupted if there&apos;s a problem. 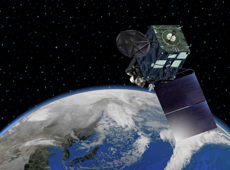 — Are there other meteorological satellites in orbit that are comparable to Himawari-8? This will be the most advanced meteorological satellite in the world. Meteorological satellite observations require countries to cooperate in order to cover the entire planet, and we coordinate with other nations to try our best to outfit satellites with sensors of equal capability. That&apos;s why foreign weather satellites to be launched in the future will also be next-generation models equivalent to Himawari-8, but due to the timing of our launches, Japan&apos;s will be first. Himawari-7 is coming to the end of its designed lifespan next year, so Himawari-8 has to be operational by that time. The United States is scheduled to begin launching its next-generation satellites in two years, and Europe in another three years. There is a great deal of interest in Japan and around the world to see what kind of observational data we will get from Himawari-8, the first satellite of its generation to launch. — Meteorological work is done with tight international cooperation, isn&apos;t it? The atmosphere moves around the Earth, so the air over Japan may have been above Europe or the U.S. days prior. That&apos;s why we can&apos;t get good results if countries around the world don&apos;t share weather observation data. International cooperation is vital to getting accurate weather forecasts, warnings and other information in Japan. 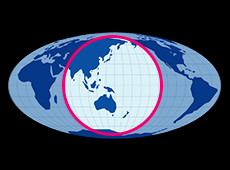 The world&apos;s meteorological agencies have built cooperative relationships through such entities as the World Meteorological Organization (WMO), which is one of Specialized Agencies of U.N. By operating the Himawari satellites since 1977, Japan has been contributing to international cooperation in space-based meteorology. — Is Himawari data made available overseas as well? Today, Himawari data is primarily provided to meteorological agencies around the world via the satellite&apos;s on-board communications equipment. Since Himawari-8/9 will have about 50 times the data capacity, they won&apos;t carry this sort of communications equipment. Instead, we plan to provide the data mainly from ground installations. Meanwhile, we will implement a plan to use regular communications satellites to transmit data to developing countries that have unreliable internet access. 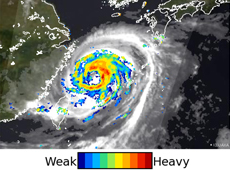 Asia-Pacific countries experience many natural disasters such as typhoons, but their methods of meteorological observation are not necessarily advanced, so it wouldn&apos;t be going too far to say that they depend on the Himawari satellites. Rather than simply providing these countries&apos; meteorological agencies with raw data, we also assist them in ways such as training their personnel in data analysis. — The JMA also uses data from JAXA&apos;s Earth observation satellites, right? A typhoon captured by JAXA&apos;s Shizuku (Global Change Observation Mission – Water) satellite. The red areas indicate heavy rainfall. 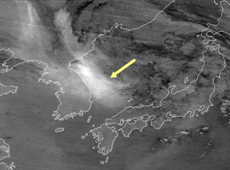 The black-and-white image in the background is cloud distribution recorded by a Himawari satellite. In addition to JAXA&apos;s earth observation satellites, at the JMA we also use any kind of usable data from around the world, regardless of what country it&apos;s from. This includes foreign satellites, ground-based rain gauges maintained by government agencies and municipalities, weather radars, seismographs, seismic intensity meters, tidal observations, etc. — What are your expectations for JAXA in the future? 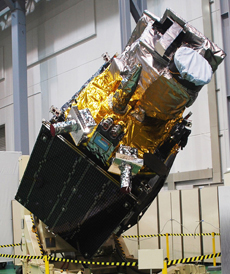 The first unit of Himawari through Himawari-5 were developed jointly by the JMA and JAXA&apos;s predecessor, NASDA (the National Space Development Agencies of Japan). That&apos;s why you cannot omit NASDA&apos;s contributions when discussing the history of the Himawari satellites. In the days of the first Himawari, most space development was happening in the U.S. and the Soviet Union, and Japan&apos;s space program was still in its infancy. Since then, the Himawari satellites have come to possess world-class technology. I think this is because JAXA engaged in progressive technological development with an eye to the future. We can&apos;t stop with Himawari-8/9; we have to keep looking to the future as well. I would like JAXA to continue leading the way in Japanese space research and space industry, so we can develop space technology that will serve as the basis for future Himawari satellites. — Finally, please tell us your outlook for the future. The Himawari satellites directly relate to the safety and security of all the people of Japan, and they help our country, as well as other Asia Pacific nations, prevent natural disasters and monitor the Earth&apos;s environment. That is why I would like us to continue meteorological satellite observations incorporating the latest science and technology, so that we can maintain non-stop Himawari observations and provide valuable information. Yokota graduated from Meteorological College. Since joining the JMA, he has worked in forecasting, maritime weather observation, and planning. 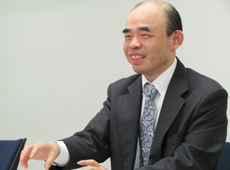 Now in his eighth year at the agency, Yokota is in the Meteorological Satellite Section. 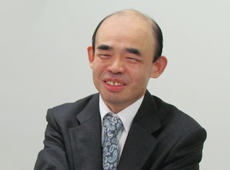 He is involved with the Himawari-8/9 satellites from the planning stage straight through to production, launch and operation. He has been assigned the current post since 2013.